UV1 drumheads are the result of years of research, experimentation, and dedication. 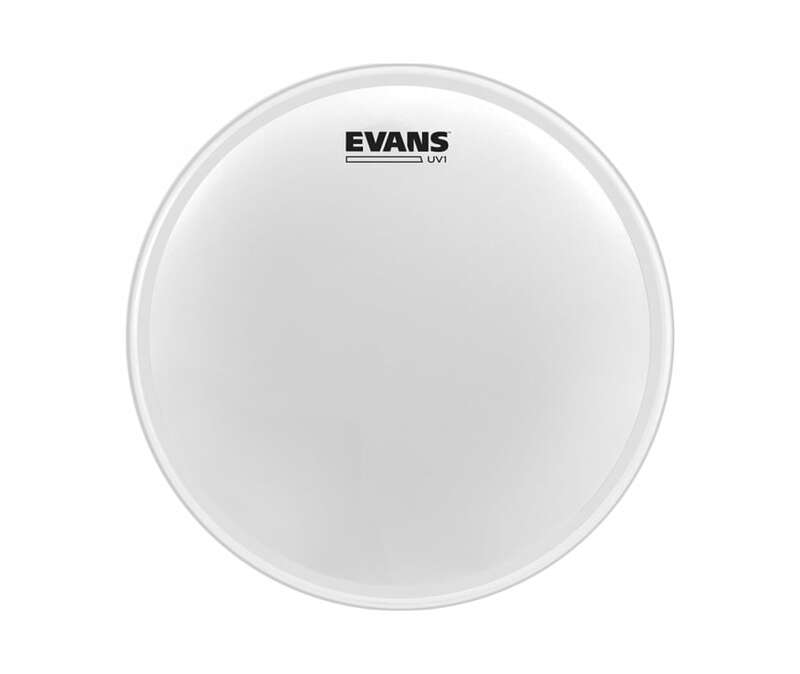 Bringing together the strength, stability, and performance of our existing Level 360 Technology with D'Addario's cutting-edge UV-cured coating, Evans UV1 delivers unmatched durability, consistency, strength, and sound. Just ask anyone who's played it: UV1 is the new standard in drumheads. Because UV1 is single ply, it is designed to give players an open, expressive sound that stays livelier longer. And UV1's coating is designed to add to, not detract, from its tone, with increased surface texture to make it incredibly sensitive and responsive when playing with brushes. UV1's patented UV-cured coating provides durability and consistency unmatched by any other coated drumhead. Its coating is the most evenly applied ever seen on a drumhead, providing strength that outlasts traditional coatings. And UV1's unique single-ply 10mil film is more resistant to stretching and denting. Combined, they make UV1 the new first choice of drummers who've grown tired of heads that flake, chip, and wear out before their time.